Gallery Helios. Art. Mind. Body. Wellness. This series of workshops are designed for those who are interested in understanding our true nature and journeying to the realisation of the deeper depths and the higher heights of who we really are. They are useful for individuals interested in personal growth, and coaches, leaders, teachers, and parents. Knowing the Enneagram or having done prior workshops is not a prerequisite. Having some prior knowledge of the Enneagram could be an advantage to some, and a hindrance to others. 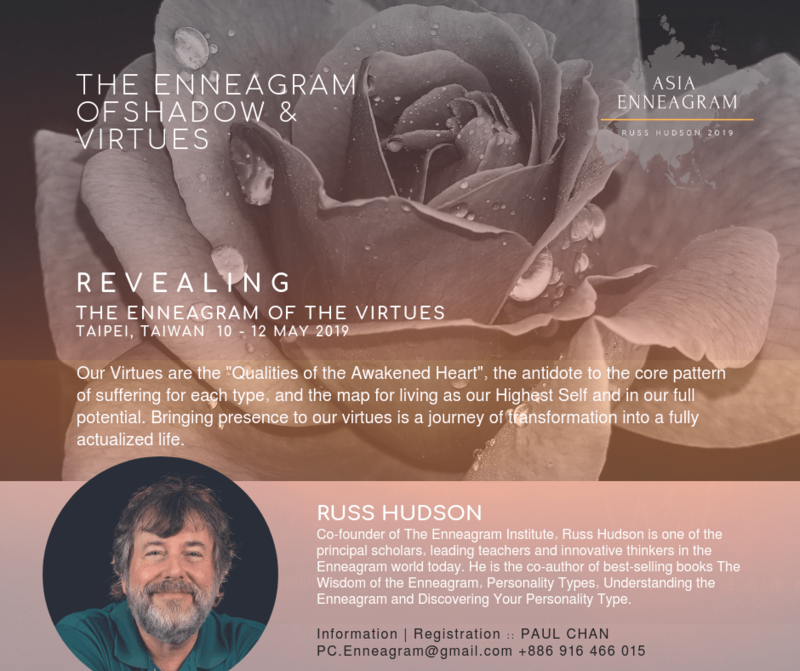 Listen to Russ Hudson on the Enneagram Types here. The organisers are Siewfan Wong Siewfan.Wong@GalleryHelios.com +65 9459 8262 for Unveiling (Bangkok event) and Paul Chan PC.Enneagram@gmail.com +886 916 466 015 for Revealing and Deepening (Taiwan events). Chinese translations will be provided at both Taiwan events.